We have to ask ourselves, how much do you think you need to spend on a notebook and still get a machine that manages to do what we need from it? 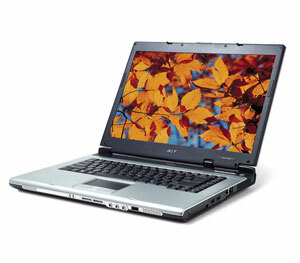 Well, Acer would like us to think its £749 (inc. VAT) and they'd be right. It may lack a little imagination and offer nothing new but at the asking price there really is little to fault with this machine. Sure, there are more powerful notebooks on the market but the Aspire is proof that if you shop around, you can find a genuine bargain or two. 86% Den Mobilen für daheim?